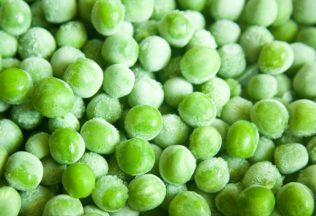 Simplot has entered into a new supply contract with Coles to provide Australian produce for Coles private label frozen vegetables. The eight-year contract will see Tasmanian, New South Wales and Queensland farmers replace at least six million kilograms of vegetables that would have previously come from overseas sources. Simplot Managing Director, Terry O’Brien, said the contract will benefit more than 240 growers. “It means growers will need to plant more crops so Simplot can supply an extra 6 million kilograms of Australian-grown produce and this will benefit all those who contribute to the manufacturing of Aussie grown products including site workers, truck drivers and regionally-based service providers,” O’Brien said. Coles Managing Director John Durkan said the Simplot contract was an important extension of its Australian-first sourcing policy. “We know our customers want to buy Australian grown food so we’re pleased to be extending our 20-year partnership with Simplot to source more vegetables from Tasmania, NSW and Queensland,” he said. Some of the vegetables will also be used in Simplot’s Birds Eye branded foods.